But CNBC notes that, as recently as October, Powell’s was indicating that rates were “a long way from neutral.” Could the change in tone simply be public relations damage control? It’s important to note that rates may still be “low” by historical standards, but only if you include 35+ years of interest rate history. However, if you look at just this century, rates are headed towards the highest levels since 2007 (see chart below). And keep in mind there’s a good chance that we’ll see one more rate hike in December, as the Fed has alluded to in their November meeting statement. In response to Powell’s “neutral” language, the Dow Jones jumped 617 points. This represents its biggest one-day gain since this March, according to CNBC. Of course, the Dow has rebounded two other times since October 3, only to lose those gains each time. And yet, the Dow jump and Powell’s “neutral rate” statement oddities somehow aren’t the strangest items from Wednesday’s speech. An escalation in trade tensions, geopolitical uncertainty, or other adverse shocks could lead to a decline in investor appetite for risks in general… The resulting drop in asset prices might be particularly large, given that valuations appear elevated relative to historical levels. So which is it? Neutral rates that don’t have an effect or rates that pose a threat? Time will certainly tell. More likely, by the time the first FOMC meeting rolls around in 2019, the economy will be in a tailspin, with debt and derivative bombs detonating. However it turns out, it’s hard to know which opinion Powell will show at the next FOMC meeting. 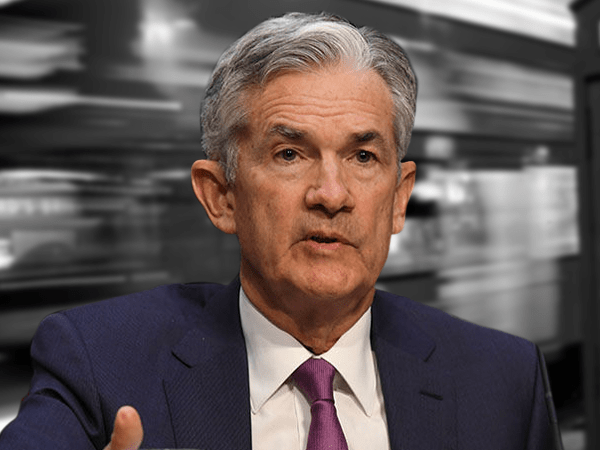 Will the Real Chairman Powell Please Stand Up? Powell’s contradictory remarks make it difficult to predict (let alone trust) how the market reacts to them. And as you’ve likely seen, CPI inflation is still rising overall, while the yield curve continues to shrink (right now it’s at 23 basis points and still flattening, the lowest since 2008). So that one-day Dow Jones gain could turn out to be quite transient. Bottom line, anything can happen at this point, up to and including the anticipated rate hike in December. It’s even possible for Chairman Powell to stop using “neutral” language, although we wouldn’t count on that. If ever there was a time to make sure your portfolio is as resilient as possible for the bumpy ride ahead, it would be now.